More hose, less space. 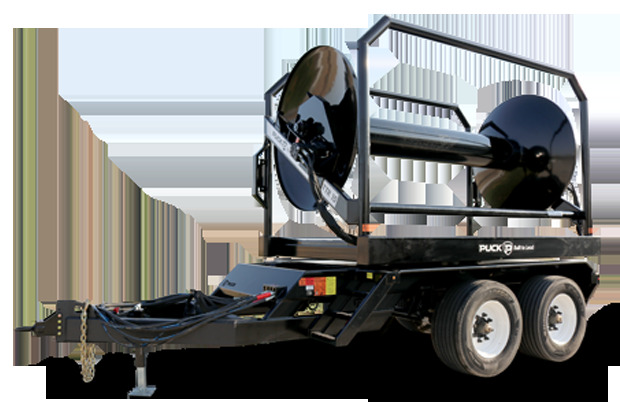 The TTR-15 has been engineered by Puck to carry more hose while meeting DOT width regulations. Sitting on a narrow, compact chassis, this turn-table reel lowers the cost of transportation in your liquid transfer operation, making it easy to move down the road without sacrificing capacity. With a 97-inch width, the TTR-15 is built for easy transportation. Pull it down the road without any complications, simplifying your move to the next site. The TTR-15’s compact structure packs some power, transporting more hose than the HC16, Puck’s largest hose cart model. With high capacity and a narrow, easily maneuverable build, this turn-table reel brings you both power and agility.